When you are trying to improve your overall health and get fit, weight loss is just part of the game. The problem is, most athletic wear does not consider different body shapes and nuances, in fact, most of them do not offer a very flattering silhouette at all, unless you are a size 4. Woest athletics want to help you feel better in your own skin by offering workout clothes that are functional, flattering, and comfortable and this could not be truer than with their workout Capri. Constructed from anti-pill, high-stretch retention fabric that is thicker than conventional offerings and offers a snug, full coverage and most importantly comfortable fit. The Capri’s are a seemingly perfect blend of 65% rayon / 30% nylon / 5% spandex and features a plethora of small and larger pockets to carry all the necessary essentials – cellphones, access cards, nutritional gel packs and the such. After telling one of our female staff about the pants, her first response was – “what, they have those?’ – promptly followed by, “for sure! I would love to try those out”. A testament to the quality of their pants was that after our typical 3-week review period, we had a hell of a time trying to claw those back from her. In her own words she said, “these were the best workout Capri’s she had ever worn, and never did she feel she was “camel toeing the world” – to put it eloquently. She also reported that she loved the stretch fabric and that they also washed very well, were still super comfortable and felt like new. 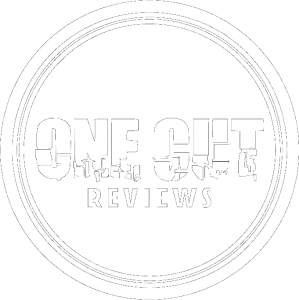 While we may not all be familiar to the female plight to find the perfect workout pant here at One Cut, the fact that one of our reviewers told us that we would have to pry the pants from her cold dead hands is enough of a glowing recommendation for us. So, go ahead, check them out and let us know if they truly are the best Capri’s money can buy. Next Post Tile Sport – Bluetooth Tracker!